Jeston Green introduced the new PlanetReuse website to the world and we couldn't be happier with the encouraging publicity. Read the article below or click on the link to check it out on their brilliant site. 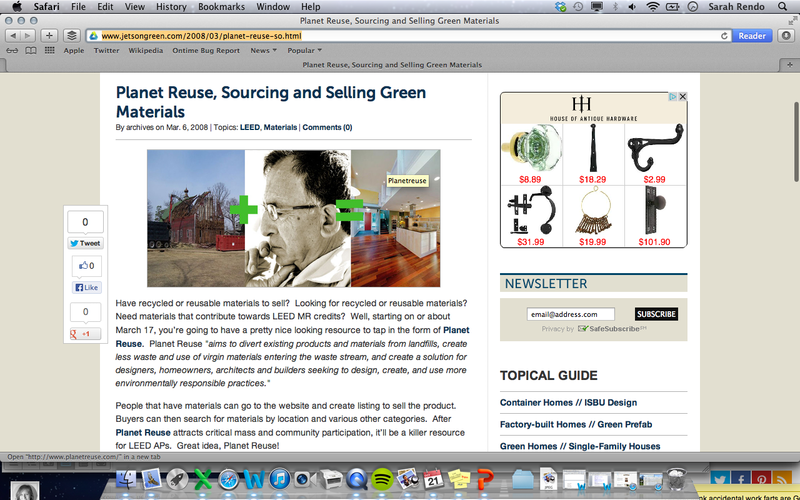 We wanted to make you aware of a new resource that can boost your sales of "reclaimed flooring products!" with PlanetReuse.com. This new website is a digital warehouse that allows you to reach thousands of contractors, architects and homeowners searching for your products online. 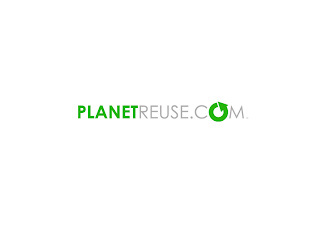 PlanetReuse allows these buyers to search a global database to purchase reusable, reclaimed, and excess building materials through the site from sellers like you. We would like to invite you and select others to list your products and be a part of our pre-launch March 3rd. This exciting opportunity will give you maximum exposure over the site's upcoming release on March 17th. We are offering you a free text ad on our site for two months as incentive to populate PlanetReuse with product listings during our pre-launch. This pre-launch offer ends March 17th, but we encourage you to check out our competitively-priced advertising rates here: http://www.planetreuse.com/advertise/info. PlanetReuse willl be reaching over 50,000 architects and contractors in the “green community” throughout the world on our "go-live" date March 17th. Along with your products, PlanetReuse will be featured by DWELL magazine on March 17th as well as Greenability magazine and ecoLogical Home in the upcoming months. This digitial initiative, coupled with our print media efforts, creates a one-of-a-kind opportunity to extend your products and web presence to interested buyers. Please feel free to visit PlanetReuse.com and email us at partnership@planetreuse.com if you are interested in participating in this offer. We look forward to working with you for years to come! Yep we're finally in beta! And will be until March 3rd when we officially send out our invites to our listers and start to change the world for the greater, more environmentally responsible good! I know myself, Nathan, Dan and Jiang have worked sooo hard making this a reality and a great tool for so many great people out there that it's good to sit back for a moment and look how far we've come. I'm really amazed and blessed to be working with such a great crew, such as these gents and can't say enough good things about how much their hard work is appreciated! I have started to get an enormous response from people all over anticipating the release of the site and who look forward to using it and want to be a part of it. To those of you who don't know much about it feel free to check it out, but keep in mind you are only looking at the beta version. However, to give you an idea it's an online digital warehouse for users all over the world to use to reduce the flow of additional virgin materials into the waste stream. We allow buyers and sellers to post and buy products directly from the site and have integrated Freightquote.com and FedEx shipping into the mix to create a seamless process from start to finish.